In today’s digital landscape, it’s natural to assume that any business hoping to compete must stay on top of the latest marketing trends. Although law firms are known for being hidebound to tradition, they face challenges similar to marketers in other industries. While they need to maintain the dignity and trustworthiness expected of legal professionals, today’s law firms also need to innovate in order to attract new clients and remain relevant to existing ones. Let’s take a closer look at some of the trends which will drive the industry in 2019. One trend that no legal marketer or any marketing department for that matter can escape is the ascendancy of mobile. The switch to mobile is occurring more rapidly than expected with more than half of all web searches coming from mobile devices. Therefore, sites must be optimized for mobile in order to attract users. Simply put, if your site doesn’t look just as good, if not better, on a small screen than a larger one, then your firm stands to lose out on the traffic it’s generating. Prioritizing mobile should reach beyond display, however, to incorporate text and messaging apps. Any method which leads to better communication between clients and their legal team is a must for a digitally savvy law firm. Artificial intelligence is no longer just a Steven Spielberg sci-fi movie from the beginning of the twenty-first century. It is already being incorporated into existing technology and will continue to grow as a marketing tool for websites. Artificial intelligence (AI), for instance, can help people find relevant content on a website. For legal teams, AI in the form of a chatbot can answer preliminary legal questions prior to an in-person consultation. As everyone knows, legal advice is very expensive. Consequently, any method that can answer questions ahead of time can save everyone involved a good deal of time and money. More and more Americans are listening to podcasts every year and nearly two thirds of them are listening via mobile devices such as smartphones or tablets. Law firms can take advantage of this trend by creating informative podcasts that attract a loyal audience. Not only can podcasts create a stronger relationship between firms and potential clients, they can also burnish a firm’s reputation. Podcasts are a low-cost way to reach a customer base and possibly garner their full attention e.g. when people are out for a long drive. Streaming live video is another avenue for firms to engage with an audience. Nearly every major social media site has a way to stream live video through their platform such as YouTube Live, Facebook Live, or Instagram Live. This trend is growing for marketers because it creates excitement around an event that only occurs once. While recorded video can be played again at any time, a live stream only happens in real time, and then it’s over. Law firms could host Q&A events in which people receive advice and answers to legal questions free of charge. This is a great way to add value and to build credibility across a wide audience. While local marketing is certainly not a new phenomenon, the proliferation of smartphones gives new meaning to going local for marketers. People using Google Maps to explore nearby or find businesses “near me” has led to an explosion in location-targeted marketing. Indeed, people have started to use the term “hyperlocal” to refer to businesses’ desire to appear in searches within a few streets or even blocks. Technology has improved so much recently that it is rarely necessary to specify that you are searching locally. Since most clients won’t travel farther than they need to seek legal help, making sure your firm’s website is optimized for local search is imperative. Although smart speakers such as Google’s Home or Amazon’s Echo have already entered nearly 20% of American households, people use voice search on their phones even more frequently. Interestingly, people of all ages have embraced this trend. Older, less tech-savvy adults often find it easier to use voice search than other methods. Legal marketers need to keep in mind that these searches often include questions and more keywords than the typical search. 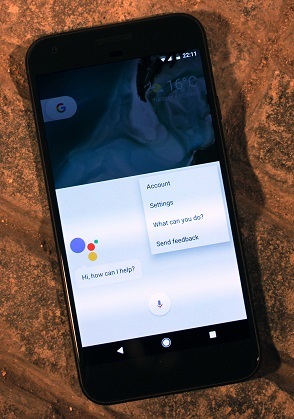 For instance, people will use longer, more conversational phrases with voice search instead of merely typing a couple of words into a search engine. In addition, they are also more likely to ask a question such as “how much is the fee for an initial consultation?” Law firms need to understand that they will reach clients of all types and ages by adapting their strategy to vocal searches. Not only do Google Reviews raise your businesses’ ranking on search engine results pages, but statistics show that 90% of customers look at reviews prior to visiting a business; nearly the same percentage trusts those reviews as much as a friend’s recommendation. As a result, people researching a law firm’s online reputation are expecting to find something on Google Reviews or even Yelp. If people can’t get any information through these sources, they are much more likely to call a firm that has some reviews. Nowadays, people are just as likely to choose a law firm in the same way they might compare flat panel TVs or local restaurants. Thus, the importance of having a current and detailed Google My Business profile cannot be overstated. Due to shifts in technology and digital marketing techniques, staying ahead of the curve in your industry is never easy. Furthermore, the legal industry presents the unique challenge of honoring tradition and protocols while adapting to these new trends. Nevertheless, embracing these trends will help your law practice build its brand while improving service to your existing clients. A savvy legal marketer needs to capitalize on the latest digital trends both to attract new clients and to provide sustainable growth for years to come. While quality legal representation is what counts in the end, your audience will never experience this unless you grab their attention in the first place.